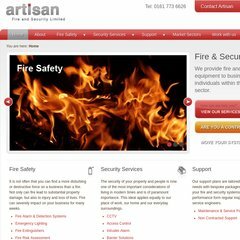 Topics: Fire Safety, Fire Alarm & Detection Systems, Emergency Lighting, Fire Extinguishers, Fire Risk Assessment, and Fire Safety Training. Its 2 nameservers are ns1.netbenefit.co.uk, and ns0.netbenefit.co.uk. It is hosted by Uk2 Infrastructure (England, London,) using Apache/2 web server. The programming language environment is PHP/5.2.17. PING www. (109.123.87.124) 56(84) bytes of data.